It’s that time of year when the kids go back to school and the artwork comes back with them. 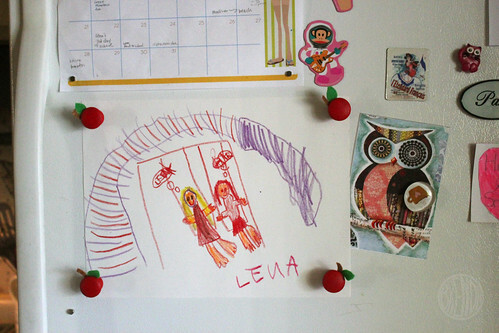 If you’re like me you probably have an on-going gallery exhibit on the refrigerator door featuring all their latest masterpieces. I thought it would be fun to make some little magnets to commemorate this special time of year. Some back-to-school magnets! 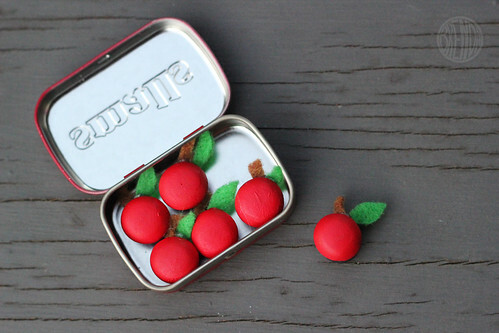 What’s more back-to-school than a bunch of little apples! First you’ll need to gather your supplies. I made two sizes of magnets for this project. One with wooden drawer-pull-sized knobs and the other with those tiny mushroom buttons that woodworkers use to cover their screw holes. Both can be found at your local hardware store. 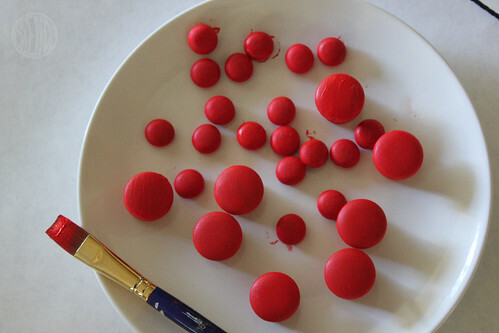 You’ll also need some red acrylic paint (the water-based children’s version is the safest), some glue (I used a glue gun but some industrial strength adhesive will do the trick too. 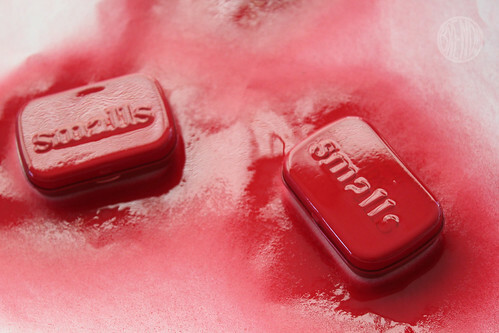 It burns less but also smells more– and it should ONLY be used by a responsible adult), some felt or craft paper in green and brown, and of course magnets (craft responsibly and use only around older children and very be careful around young kids and pets, okay?). Now for the fun part: Painting. Truthfully, this was the only part of this project that my young five-year-old daughter and her friend could do. The gluing was a bit fiddly and required an adult but the painting was lots of fun and messy like it always is. 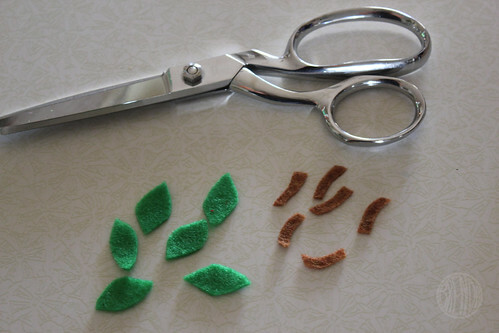 Then I cut out tiny leaves and stems from the felt (sharpened fabric scissors worked great here). With a dab of glue on the side I affixed the leaves and stem to the top of my apples. And yes, I burned myself plenty. So be careful. 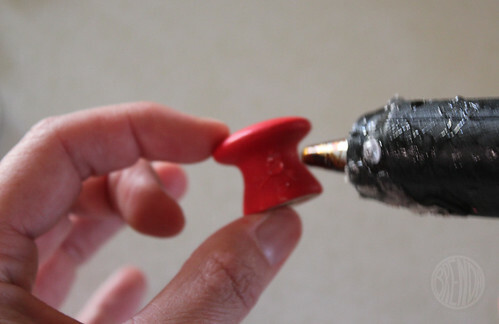 A toothpick is handy for positioning them just right as the glue quickly hardens. Then I added a magnet to the back and tah-dah! 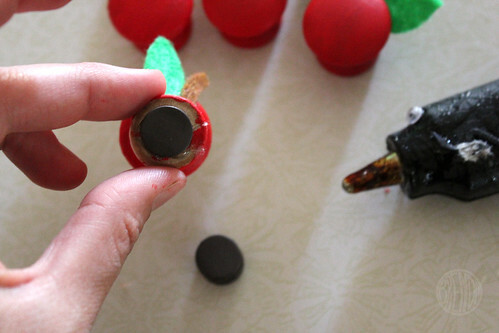 The smaller apple magnets, with the mushroom buttons, were made the same way. 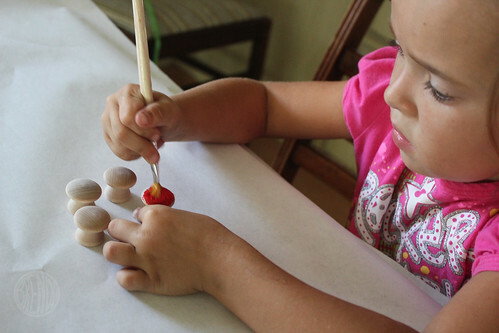 They just required a little bit more patience and skill because they are so small. But they are SUPER cute so I think it’s worth the extra effort. 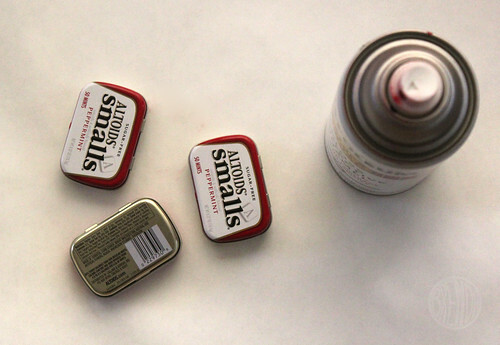 The best part was the little container I found to put them in: Small Altoid tins! 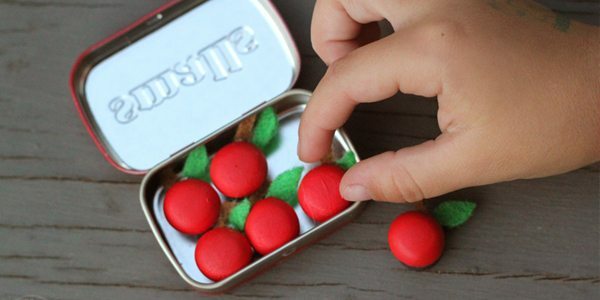 I just spray painted them red and then put the apples inside, which worked perfectly because the magnets automatically stuck to the metal tin. (this should be done by an adult only. Please craft responsibly and spray paint outside or in a very well-ventilated area). So cute, right? 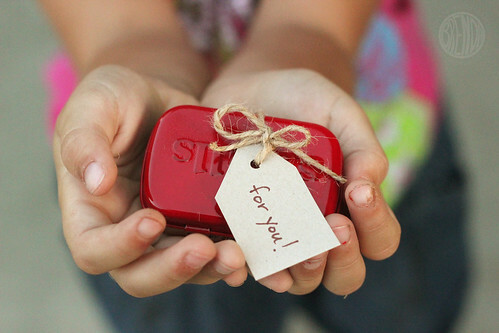 These would make a perfect gift for a new teacher I think. I love this! 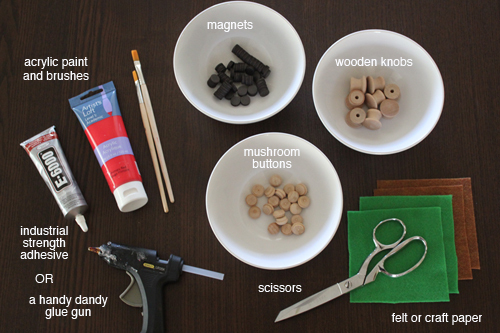 I bought some plain magnets a few days ago, thinking I need to make my own cute little magnets.